Once again tickets to India bring unbelievable offers for its existing customers. At tickets to India our main aim is to provide you best online travel services on verycompetitive prices. Tickets to India is offering a flat £10 off per adult on every flights booking. For the child passengers, there is a flat £5 off on every booking and for infants there are no discounts. Get flat £10 off per adult on every booking. Flat £5 off per child passengers. 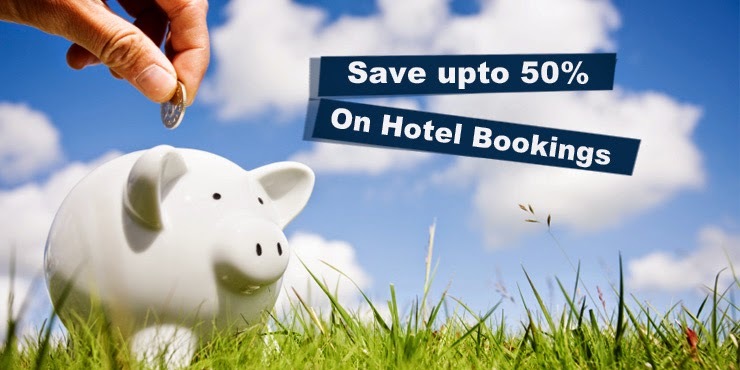 Offer can be redeemed as many times as you want (every booking). No coupon needed, just logging in your account you will automatically get the discounts. If you are not an existing customer, you can also avail offer after first buy. Log-In in your account at www.ticketstoindia.co.uk from my account section available at home page (top right). Make a search for your desired flights by selecting you destination, airlines and date from our search engine exist on our homage page. You will see the result with discount, select your favorite flights and make a purchase. That’s it. Discount is only for logged in Users who has an activated account. Offer is not applicable on certain flights. Not applicable on hotels and holiday packages. £10 off only for round trip, for one way there is a £5 off per adult and £2 off per child. Tickets to India has the right to change or remove the offer any time without giving any prior information. India is a country of festivals and colors and millions of visitors come to India from around the world every year. 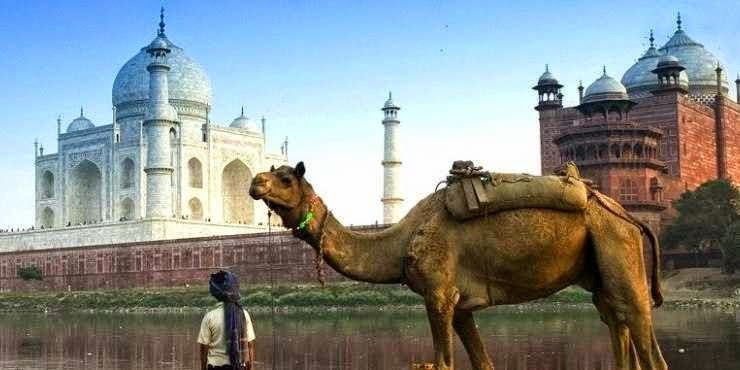 Although visiting a country with such a different culture can be quite daunting, India is a very worthwhile and accessible country that is well worth the effort. Here are some tips for first time travelers visiting India. Be prepared for Summer: In India, the months of May and June are very hot, particularly in northern India where the temperature can reach an oppressive 48°C. This kind of temperature is difficult even for the locals to bear but will feel extremely uncomfortable for visitors coming from colder climates. The temperature of cities on the coast is much more reasonable, averaging between 20°C and 25°C although they tend to have higher humidity. The rest of the year the weather is generally more pleasant and a more enjoyable time to visit India, however, it is always worth checking local weather conditions before you travel. Be patient: Patience is of course a virtue but in India it is also a necessity as most Indian cities are crowded, have a lot of traffic congestion and plans do not always work out as per your best intentions. Apart from the problem of traffic, there are numerous other ways in which the Indian way of life will conspire to make you late reaching your destination. Take a deep breath, think pleasant thoughts and as a precaution, make your schedule flexible and give yourself more of a margin when making arrangements. hard to take for the untrained palate. It can also be tough on the stomach and the digestive system if you are not used to it. Try to avoid too much fried food too as it is often made of recycled oil that contains a high amount of cholesterol and trans fats. Some Indian cuisine can be very sweet and contains a lot of sugar so you should probably try to eat the sweeter fayre in moderation to save your waistline! 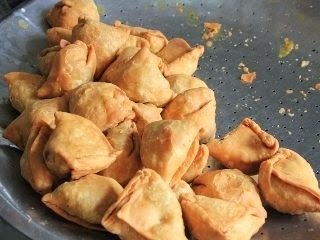 All in all, everything in moderation is the key as India has such a huge range of tasty delicacies that you will want to try. Dress appropriately: Women should wear full length clothes in all areas other than when on the beach. Clothes should cover the arms to the hands and the legs should remain covered. Aside from cultural sensibilities, it also helps to protect from dust, pollution and the strong Indian sunlight. It will also help ladies to avoid any unwanted attention by locals who may not be used to seeing western women let alone women with exposed skin. Another option for women looking to fit in is to wear the two piece Salwar Kamee, Kurti or trousers. should make sure to remove your shoes before entry to avoid causing any offense to worshipers or locals alike. The same applies to any other places where visitors are taking off their shoes – the rule of thumb is follow the locals – if they leave their shoes outside, so should you. If you are used to wearing heavy boots, it is recommended to keep a pair of sandals with you. 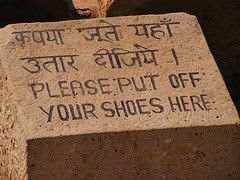 Some temples (or other places where you might need to take off your shoes) provide facilities to store your shoes to keep them safe. Charges for this are minimal – for example you will pay just 10 rupees in most places and many others such as the Lotus temple are free of charge. Bargains: If you want to purchase something from a local market (pretty much anywhere other than the shopping malls) then you will find a lot of bargains on offer. The vendors will almost certainly try to charge tourists more than locals so be aware of the price that others are paying before you begin haggling. No one will sell you anything at a loss so be prepared to walk away and let them come down in price and remember that it is only a bargain if it is worth the price to you. If you can not reach agreement, move on, there are plenty of others willing to sell to you! 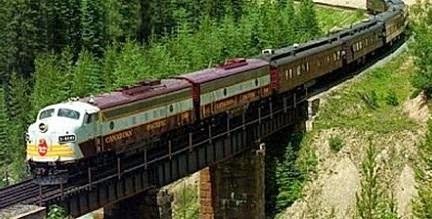 Ride the train: If you want to cover long distances in India and are not taking a flight, the train is probably the best, quickest, cheapest and most comfortable form of transport. If you can, avoid the overpriced sleeper cabins and opt for the ones with air-conditioning although they do cost a little more. It is, however, safe and comfortable and as long as you book your tickets at least 15 days in advance, you should be able to reserve a place at a reasonable price – this is particularly important when booking overnight trains. Women - do not travel alone: Although India is a relatively safe place to visit (for example, a recent study from the London school of Economics says that Delhi is a safer place then New York in terms of crime rate), it is nonetheless recommended that women should travel in groups or with friends or relatives particularly if traveling at night. Always carry a mobile phone, don't talk to strangers, don’t keep too much cash on you and avoid very crowded areas as there can be pickpockets. As with any country, sensible precautions at all times are the key to a stress and trouble free visit. Keep an emergency number on your speed dial: When arriving in any city, take some time to find out the numbers for the local emergency services. Remember that throughout India you can dial 100 for any emergency (fire, police or ambulance), but there are some special helplines set up for women travelers as well as a train helpline if you are traveling by rail. Get an auto rickshaw: For a different and fun way to travel, try getting a rickshaw. As you disembark from any train, you will find plenty of rickshaws available although the drivers will try to charge foreigners more. Many hotels provide free rickshaw pick ups - simply call them and ask them to collect you. If you are hiring an auto rickshaw don’t pay more than your meter reading. Be wary of any friend or the driver's asking to come and sit with you. If they do, ask them to leave. If they refuse, get out of the rickshaw and try another one. Delhi Capital City of India is rich with historical monuments, Museums and spectacular sightseeing. 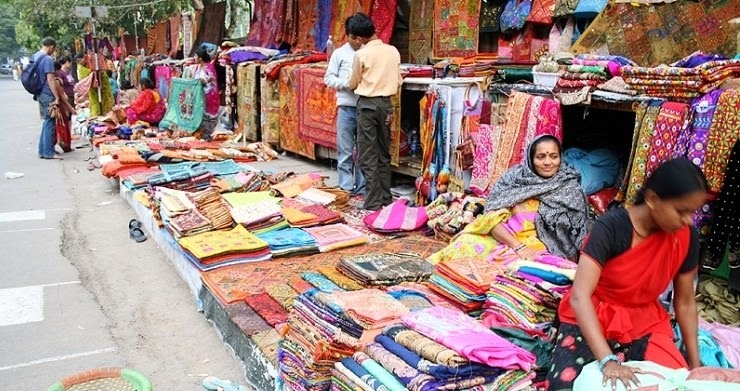 Millions of domestic and foreign tourist visit Delhi every year. We bring a list of 5 Must visit and popular tourist spots of Delhi that will complete your trip to Delhi. 1. Qutub Minar: A 73 Meter high and five storeys tower located in south Delhi. Construction of Qutab Minar was started by Qutab-ud-din Aibak in 1193 and completed by Iltutmush and after that Firoz Shah Tughlak, Its first three storeys are made of red sandstone and fourth and fifth storeys are made of marble and sandstone. 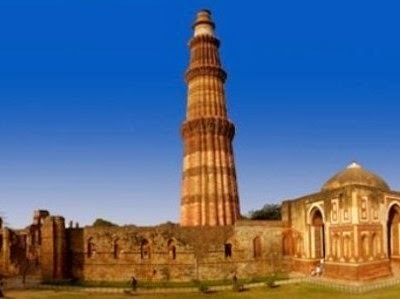 Qutab Minar was the second most visited tourist detonation of India by domestic and foreign visitors. Distance from Delhi Airport:12.7 Km. 2. Red Fort: Red Fort aka Lal Quila was built by Mughal emperor Shah Jahan in 1648. 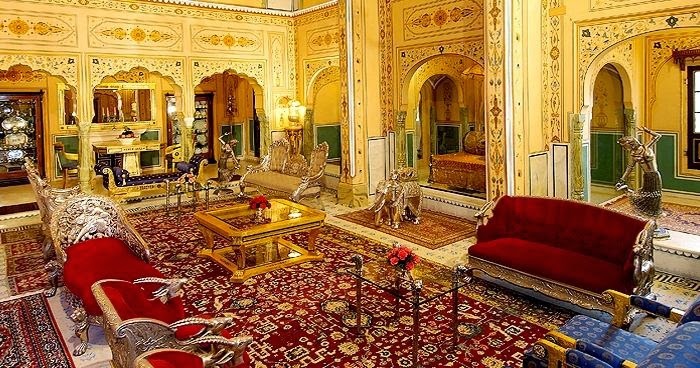 It remains the residence of Mughal emperors for 200 years until 1857 AD. 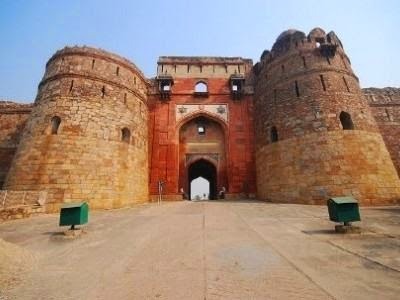 It was given the name of Red Fort because of its Massive walls of Red stone. Red Fort located in Old Delhi, speeded in 254.67 Acers and enclosed by 2.41 Kms walls, it has number of museums. 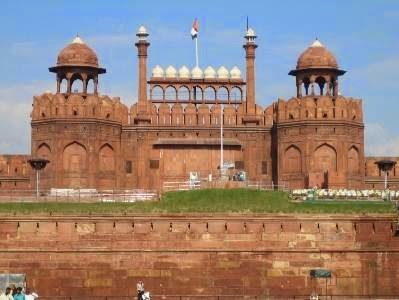 The major architecture of Red Fort are Lahori Gate, Delhi gate, Diwan-i-Aam, Mumtaj Mahal etc. Distance from Delhi Airport: 20.2 Kms. 3. Humayun’s Tomb:Third most visited monuments of Delhi, Humayun’s Tomb located in Nizamuddin East neat Old Fort (Purana Quila). 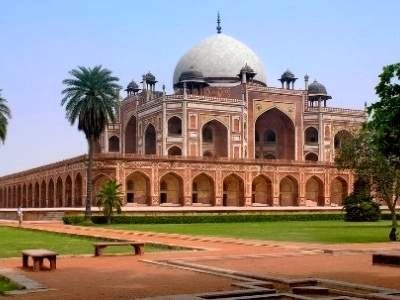 It was constructed by Mughal Emperor Humayun’s wife Haji Begum in 1535. It was the first Indian Garden Tomb and use Redstone at such a scale. This tomb is now a UNESCO World Heritage Site. Distance from Delhi Airport: 16.0 Kms. 4. Old Fort: Oldest fort if Delhi, actually it is oldest structure in Delhi. It believes that it was built by Pandavas about 5000 years ago as their Capital Indraprastha, It was rebuilt by Sher Shah Suri (an Afghan King) and competed by Humayun. Old Fort surround by a wide moat that was filled by river Yamuna for defense. It is covered by 18 meters tall and 1.5 Kms long wall with three gateways known as Bara Darwaja(Big Gate), Talaqi Gate and Humayun Gate. A Sound and lighting show also organized everyday at old fort. Tickets: INR 5(Indian), 100 (foreigners), 25 rupees charge for videography. 5. 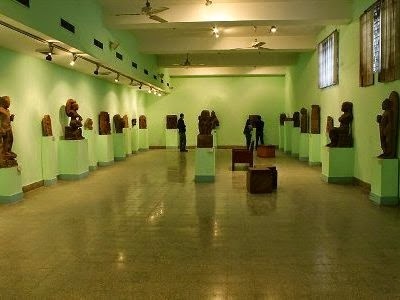 National Museum:A less visited place compares to above given monuments but trust me it will be the best place you visit in Delhi. National Museum was started in 1949 at Rashtrapati Bhawan(President House ) and now it is running in its own building located at corner of Janpath near India gate. National museum has about 200000 work form prehistoric era to modern art. It covers almost every page of India history. 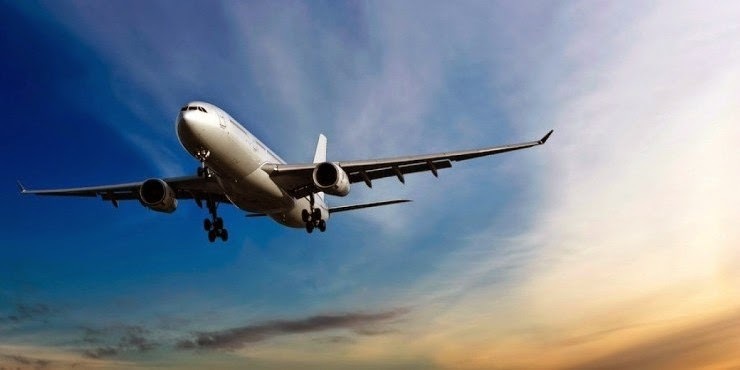 Air travel is one of the most popular forms of travel as it is fast and comfortable and allows people to travel thousands of miles in a relatively short time and access parts of the world that would previously have been inaccessible. For your convenience I have put together some suggestions that will make your first time travel experience less stressful and more enjoyable. Buying tickets: Make sure you buy your tickets from a reliable source – a company that offers good value and service for a fair price (find here). Here is a small guide on how to buy your flight tickets online. Check all your required documents: For most flights you will need a passport and for some a photo ID card can be used. Certain destinations and nationalities will also require a visa. Don't forget that if you are traveling with infants, you must also carry their birth certificate with you. Baggage: Check how much free baggage your airline is giving you - airlines measure the baggage in weight and size so confirms that your baggage is not exceeding the either the weight limit allowed or the size limitations or you will have to pay extra for extra baggage. Flight Status: remember to check your flights status (departure time and check in) either online or at the airport any time from 24 hours to 1 hour before departure. Arrive at the airport on time: Check in, security and other checks take time. 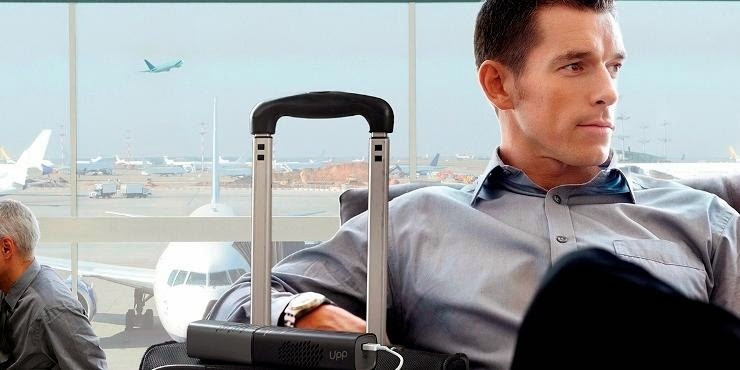 Try to reach the airport at least 3 hours before the scheduled departure time of your flight. Check In: Check in at the check in desk and collect your boarding pass, weight your luggage and if you have excess baggage, you will need to pay for this here. After that you will have to pass through security where you will need to keep your boarding pass handy at all times as a security attendant will ask you to see this and your proof of identification. At security, take off your shoes, jackets etc. and place them on the conveyer belt along with your luggage. To avoid delays and for convenience, consider packing items such as shoes, jacket, laptop etc. in your hand luggage. After passing through security check in, check your gate number on the screen to make sure that it is the same as on your boarding pass. Check the boarding and flight time and make sure everything is as per schedule, take a seat, grab a coffee, relax and wait until your flight is called for boarding. Alternatively, you can get yourself something to eat or do some last minute shopping but don't forget to listen for announcements and check the screens to ensure that you make it to the gate in good time for boarding. When you board the plane, the flight attendant will guide or direct you to your seat as per your boarding pass. Place your luggage in the overhead cabin and take your seat, switch off any electronic devices such as mobiles, MP3 players, laptops etc. and don’t turn them on until the flight attendants advise you that it is permitted to do so. Follow all safety instructions given by the captain and flight attendants onboard as the rules are for your own safety as well as others around you. Have you arrived at your destination? Congratulations! Now if you need a taxi to your final destination, check the nearby helpdesk as they will tell you where you need to go. If your family or friends are at airport to meet you, give them a call or go to the meeting point to find them. Congratulations on a successful journey!